Bernie Ecclestone was F1 supremo for 40 years. Bernie Ecclestone has called Formula One‘s decision not to stage the 1,000th race at Silverstone a “failure”. 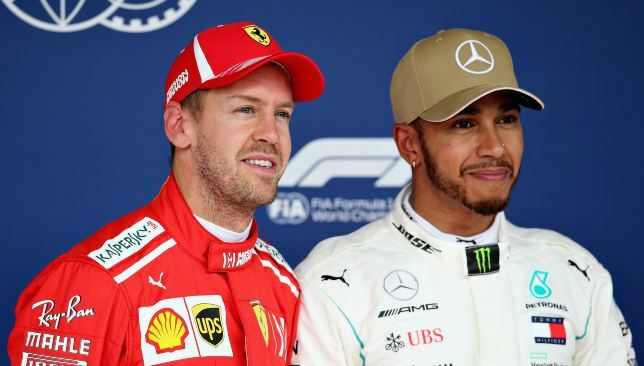 On the eve of Sunday’s landmark grand prix in Shanghai, Ecclestone also claimed Lewis Hamilton is the ‘best and worst’ thing to happen to F1, said Sebastian Vettel will retire from the sport if he loses his number one status at Ferrari, and urged Britain to hire Vladimir Putin to lead its Brexit negotiations. 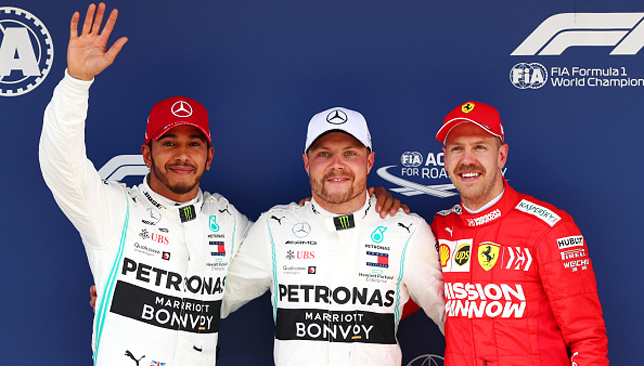 Liberty Media, the American owners which put an end to Ecclestone’s 40-year reign when they took over the sport two years ago, wanted Silverstone to host Sunday’s race. But the Northamptonshire circuit rebuffed their approach, fearing a move from its traditional July slot would scupper ticket sales. “Is that a failure on Formula One and Silverstone? Absolutely,” Ecclestone, 88, told the Press Association. “If I was running the sport, I would have got Silverstone to change their date. That’s where the first world championship race was staged, so that’s where the 1,000th race should be held. “Silverstone would have said they were going to lose money. I would have told them I’d make up for their loss. Ecclestone, the sport’s chairman emeritus, has not been approached by Liberty to play a role in this weekend’s celebrations. He has been to more than 800 races, a figure he says is greater than any person alive. Ecclestone wanted to be in China, but food poisoning curtailed his travel plans. Instead, he will watch the race on television from his Knightsbridge penthouse. Hamilton trails Valtteri Bottas by one point as he contends for his sixth title. But will the Briton eclipse Michael Schumacher’s record of seven? 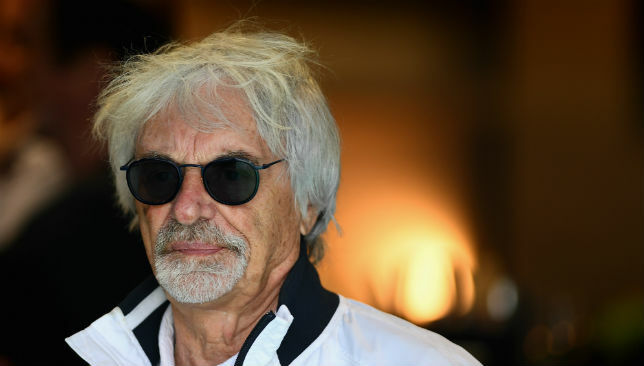 “There is no reason why he shouldn’t,” added Ecclestone. “Lewis is super and there is no doubt about that. Alongside his fashion business, it is almost as if he now treats Formula One as a hobby. 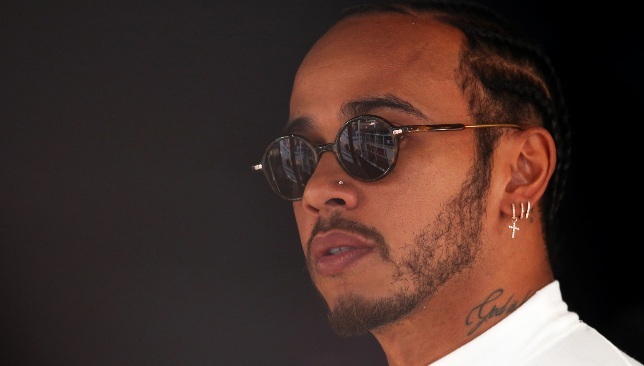 Ecclestone continued: “Lewis is the best and worst thing to happen to Formula One. “The best, because he is Formula One. The worst, because he takes so much of the attention for himself and that is not his fault. “I wouldn’t like to think anyone is bigger than Formula One but he is certainly bigger than anyone else, even any of the teams. Choosing not to align with his countryman, Ecclestone, however, is backing Vettel to win on Sunday. He is the driver whom he would play backgammon with. He also celebrated New Year alongside the German and his family in Switzerland. Yet, the Ferrari star heads into Sunday’s race as a man under pressure. He spun for a fourth time in 10 appearances at the Bahrain Grand Prix a fortnight ago, while it is approaching eight months since he last won a race. Ecclestone believes Vettel would walk away from F1 if he were usurped by Charles Leclerc as Ferrari No1, while he claims Hamilton is “the best and worst thing” about F1. Vettel is also having to contend with the sport’s emerging talent Charles Leclerc, the young Monegasque who is threatening to dismantle his status as Ferrari’s main man. But what if the decision is taken out of his hands? “Sebastian would stop, and I don’t think it would take an awful lot for that to happen,” said Ecclestone. During his four-decade rule, Ecclestone, unlike his American successor Chase Carey, ensured he created enough controversy to keep the sport in the spotlight. Away from the race track, it is a mantra he is sticking to. “What we really need to do is hire Vladimir Putin for three months and have him here looking after us,” said Ecclestone when asked about Brexit. “He wouldn’t have suffered all of this nonsense.